Don’t worry – he’s fine at last. After a week’s nursing at home and then five days in hospital, my poor, dear friend is finally better and relieved of the pain, hunger and discomfort he had so patiently endured for nearly two weeks. Poor Magic had a massive impaction colic that stubbornly refused to shift up until we took him to the vet hospital in Midrand, where a horse specialist vet put a tube up his nose and pumped water into him until he sloshed and, eventually, produced a glorious mountain of manure. Now he is home and eating everything in sight – 12 days of starvation can do that to you – and being his usual goofy wonderful self. But when he was standing in the vet hospital, his head against my chest, his neck hot and sweaty under my hand, his breath racing with the pain, I didn’t know why his colic was persisting and I didn’t know that he was going to get better. I knew my friend was hurting, and I knew colic can be deadly. I was terrified that I was going to lose him. But by God’s grace, by His sovereign plan, I didn’t. By His hope and strength alone I did whatever I could to fight for Magic (we all did) and my amazing horse never thought of quitting or of rebelling against all the painful and uncomfortable things we did to him, and now we are both home, a little battered, a little tired, and a little skinny, but just happy to be back to the lives we’re used to. When I go feed, I am still greeted by a sharp grey face with its perfect straight nose and its tiny pricked ears and the great dark eyes with their love and their fire, and my heart swells fit to burst with relief and love. I am blessed beyond all deserving. The past two weeks still stands as a sobering and an invigorating reminder: that not a single one of us owns horses. They are not ours in any sense other than that someone is our friend, or our brother. Oh, we can pay money for them and control what we can about their lives; we can fill in forms with our name under “Owner” and brag about them as if we were the ones that made them. But all we really have on them is an extended home lease. Their Owner and Creator has blessed us magnificently with loaning them to us, but at any time He pleases, He will bring them all Forever Home. The loss is ours, not theirs. The God that I know loves horses enough that He must have made a place for them when they leave us; He never told us where it is, or what, but that only means that it’s not our concern. That’s between God and horses. But the fact remains that we only have a lifetime (and how short the life of a horse can seem!) with them right here, right now, on this planet. And none of us know when that lifetime might end. We all bicker about rollkur and helmets and bitless bridles. We all fight about racehorses and the bits allowed in Western. We pick on others for wearing the wrong coats, having the wrong horses, using the wrong tack and wearing the wrong size in breeches. But while we throw stones at each other, our horses are standing patiently in their paddocks waiting for us to come home. To put a little equestrian twist on Mother Theresa’s famous quote, if we really want to change the horse world, I suggest we all go home and love our horses. Because when your horse is fighting for his life and he turns his big dark liquid eyes on you, none of that matters anymore. Not the mistakes other people have made or the mistakes you have made or the failures in your riding or the things you don’t have money for. 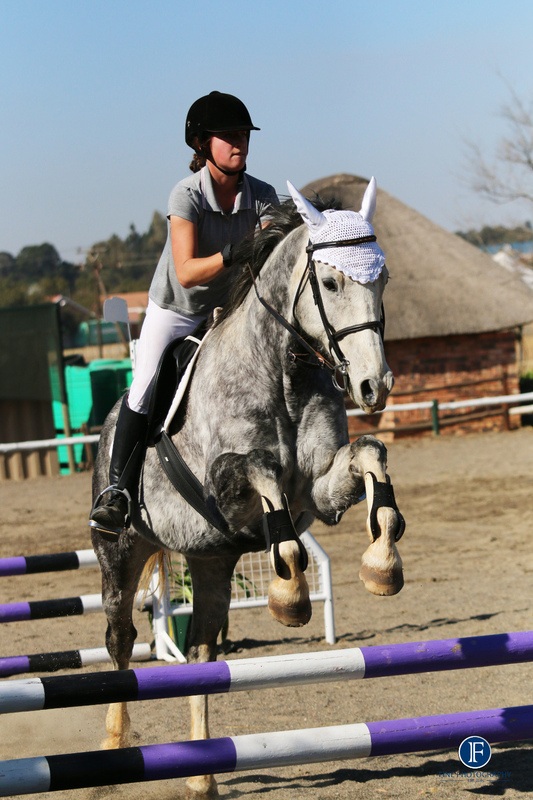 All that matters is that horse and you realise that when you still have him you have everything a horseperson needs. You realise that all the time you spent on bemoaning your own inadequacy, on panicking about how you can afford that next show, on feeling hurt by those who wish to see a newcomer crushed, that time was all time you could have spent loving him. Time you wasted. Turn the other cheek. Forget the politics. Leave the barn drama queens to their drama. Go love your horse, because he needs you, because you need him. No matter how your riding is going, no matter how bad you feel about how you ride, no matter how mad you are because he won’t perform the way you want, no matter how frustrated you are with the training challenge you just can’t figure out, don’t let any of it get in the way of loving your horse. His heart is enormous, the most precious thing in the equestrian world, far surpassing the value of even the highest level of excellence. And it is yours. Don’t abuse it. The first step for us equestrians to begin to truly and deeply love others, is to truly and deeply love our horses. Because just as with horses, we don’t have much time to love those around us. Love your horse. Love your people. You don’t know how much longer you’ll be able to. As for me, I know I love Magic as best as I have ever loved a horse or a human. But there are others, horses and humans both, and I might not get the second chance with them that I got with him. So now I need to get off my computer – and go love my horses. The dentist calls him Princess. My instructor calls him the big baby. The chiro calls him a wuss. My sister goes so far as to call him gay. They all have a point, except for my sister. He is kind of a delicate flower. Okay, so he’s a wimp when it comes to many things, like rain falling on his ears, or ribbons on his bridle, or having his teeth done or having freshly trimmed hooves. Yeah, Magic is oversensitive. He spooks at things that just don’t exist, and then spooks at them again, just to be sure. He has broken more halters and leads than I care to remember. He almost always manages to scrape himself up in the horsebox and needs to travel with earmuffs and a gigantic poll guard and all the windows shut because he hates the noise of the traffic. He injures himself on a freakishly regular basis and then has a huge drama queening session about it. If it can happen, it happens to Magic. He loses weight if the wind blows the wrong way. One day I found him staring in consternation at his full feed bin; a tiny Jack Russel had his head in it and was merrily gorging himself on Magic’s food, and Magic, easily a hundred times the dog’s size, seemed utterly baffled as to what to do about this. Another day he knocked a cross-rail down and was so lame I was certain he’d fractured something, but really it had just stung him a little. Yeah, so he’s a social retard. He has a way of terrifying new horses by galloping up to them in exuberant friendliness and then snorting at them very loudly to beg them to be friends. He bites them playfully to invite them to a game, but when they nip him back he squeals like a filly and runs to hide behind Skye (well over a hand shorter and almost twenty years older than him). He is both utterly terrified and irresistibly attracted to new horses, has no idea of how to make friends with them, and has even less idea of what a pecking order even is, much less where he should be in one. At nearly eight years old, he behaves like a weanling that hasn’t figured out how to horse yet. Sure, so he’s a goofball. When it rains, he runs like a maniac because he’s convinced he’s melting. He gallops recklessly on the slick grass and then he falls, and while he falls he flails around madly with his long legs and whinnies shrilly. Then he gets back up and runs and bucks and farts and more often than not, falls again. He jumps up on his back legs and pirouettes in the air because he’s too silly and spirited to know that gravity is a thing. He will keep doing this until Skye bullies him into the shelter or he notices that he’s hurt himself… again. But he is also courageous in a way that thick-skinned people cannot understand. He’s also generous, gentle, smart and loyal. My horse is a ninny. But he’s also amazing. Magic was created, right from his over-at-the-knees legs to the majestic jump that slaps gravity in the face. Every detail of him, from the tail that won’t grow to the face that radiates kindness, was handmade with love. He was fearfully and wonderfully made just the way he is. Sure, life and people have scarred him, and he’s still got a lot to learn. But they all do. Over time Magic will learn not to spook at flowerpots or at nonexistent monsters; he’ll learn not to panic in the horsebox and he’ll learn to tie up. And if I am to stay friends with my dentist, he’ll stand still to have his teeth done. But if Magic ever learns not to be goofy or melodramatic or sensitive or a little silly, then I’ll know my training has gone wrong somewhere. Because my ultimate goal, the greatest thing I want to do for Magic, is not to compete at A-grade or make a name as a great event horse. I want to help Magic become more Magic. I want to amplify him. I want him to be more himself than ever before. And yes, that means allowing him to be kind of a loon in the paddock even as it means allowing him to be brave. It means allowing him to be daft even as it means allowing him to explore the full extent of his honesty. Because no matter how silly Magic is, he is never malicious. He’s never pushy, or irritable, or selfish or lazy. He’s never tried to hurt anyone and he’s never disobedient. Magic always tries. Some days he doesn’t have much left to give, because the sheer effort of surviving the world has drained him. But whatever he has, he gives it all, every day. And as long as he is trying, and as long as it’s going in the right direction, I want him to express the wonderful thing that is himself. Forget magic. My horse is a miracle. You may call me sentimental, but I know this, and I know that he knows I accept him. He can’t tell what I’m thinking or reason his way to conclusions but like all horses he reads every feeling in the lines of my body and the movement of my muscles on his back. He knows I’m okay with him, and he begins to be okay with himself. Because right underneath, at the deep emotions, horses and humans are more similar than we sometimes think. Magic is my mirror. And helping him become everything he can become is my key to making myself into the person that I can be. He’s not resilient Arwen, steady Vastrap, or fearless Skye. He’s Magic.